Test taking is a daunting prospect for almost everyone, particularly when it comes to standardized tests like the SAT, ACT, GRE, GMAT or LSAT. The scores from these tests often affect the next stage of a student's career, so it's understandable that it would be stressful and intimidating for many students to even consider taking a test. Fortunately, there are many test-taking tips available that can help you ace your test or at least do significantly better than you had expected you would do. The most important thing to remember is that you don't need to get a perfect score, but you should aim for a high score. 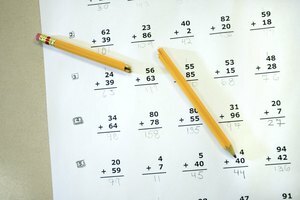 How Can I Improve My Test Taking Skills? One of the best ways to improve your test-taking skills is to make sure that you know and understand exactly what is being assessed. For reading comprehension tests, the test evaluators want to see that you know how to read and analyze a presented passage. They don't that you can write with flowery descriptors or complicated syntax. In mathematics tests, the test evaluator wants to see that you know how and when to apply the correct formulas and theorems and not that you have an advanced knowledge of a particular mathematical discipline. Preparation with regards to the material is critical, but preparation regarding the method of test administration is equally important. Is this an essay test? Is it a fill-in-the-blanks sort of test? Is it multiple choice? Having this information will help you know exactly what you need to prepare. Getting a good night's sleep and being early for the test are good ways to prepare. By getting there early and guaranteeing that you are well-rested, you are setting yourself up for success by eliminating the foggy head and worry that can come with a poor night's sleep or running late. Making sure that you understand the instructions in each section of the exam is a critical test-taking skill. Even if you think you know what the questions are asking you, read the instructions before you begin. Sometimes standardized test developers will create dummy questions that are not meant to be answered and indicate this in the instructions. This is to hammer home the importance of reading instructions before beginning and often costs points for test takers who have not read the instructions and are instead barreling ahead to answer the questions. Are You Penalized for Wrong Answers on AP Tests? AP tests do not penalize students for getting the wrong answer, however, leaving a question blank will automatically count as a wrong answer. It's worth it to guess even if you have no idea what the answer could be, especially if a question is a multiple choice. If there are four possible answers, and you select one, you still have a 25 percent chance of having answered correctly. Answering every question even with a wild guess is preferable to leaving any questions blank. This is a crucial test-taking tip and should be remembered for all standardized tests across the board. Often, students who are taking their very first college test will find themselves dealing with a lot of anxiety about what they are doing. They need to focus on test taking tips for anxiety. 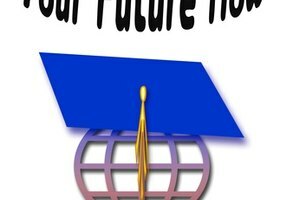 These students worry that they are not up to the college test taking standard, that they are not going to pass or that their professors or class evaluator will realize that they are a fraud and not allow them to continue at school anymore. This is unlikely, but it is reasonable to be a little nervous before taking a test in college for the first time. The first thing to do is to try to give yourself some positive self-talk. This means ditching the negative thinking and choosing to believe in yourself no matter what. If the very worst happens, and you fail the test, it is not a huge worry. You will have the opportunity to learn from your mistakes and to get extra help if you need it. Look at your very first test in college as an opportunity to see where you are in relation to your professors expectations, and then use all the resources at your disposal to get from where you are now to where you want to go. It's critical to be prepared for your tests. This means not only making sure that you are prepared in terms of understanding the class material, but that you know the format of the test, what to expect from the evaluation and what your professor is hoping to see demonstrated by students. The best way to do this is to read the directions. No matter what the test, there will be written instructions that tell you what you need to know to answer the questions correctly. Do not skip these instructions. They will help you to understand what your professor is looking for. If you know you're going to be quizzed on things like formulas, mathematics or theorems, make sure you've written them down beforehand and know exactly when and how to use them. These are important test taking tips for students. If your test is on more abstract ideas and concepts, make sure that you are comfortable defining each of them and discussing them at length. If your test is in an essay format, make sure you plan and outline your essay carefully before beginning it. 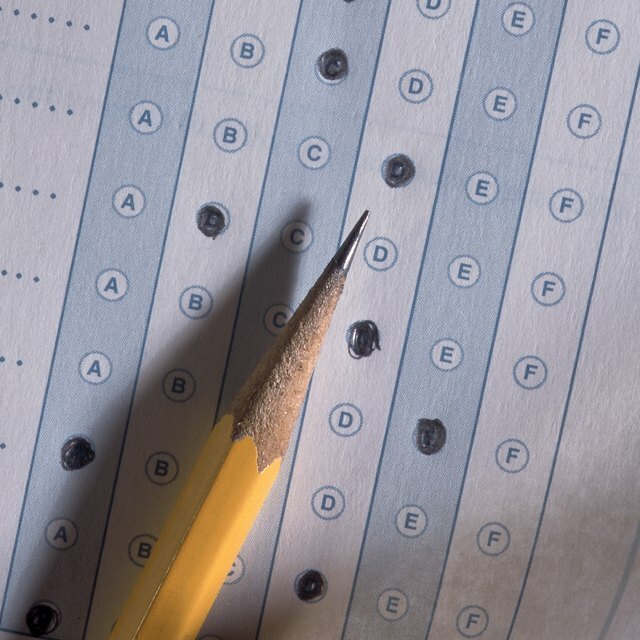 One of the most popular styles of tests, especially standardized tests, is multiple choice. Multiple choice tests typically ask a question and offer four possible answers. The test taker must then decide between the four available choices. There are several ways to approach the test, but one of the critical things to keep in mind is that you want to make sure you answer every question, even if it's a guess. As mentioned above, questions left blank will be marked as wrong. If you don't have any idea of what the answer could be, or if you're running out of time and have several questions left to answer, don't leave them blank and take a guess. A good strategy for taking a multiple choice test is to go through and answer all the questions you know immediately. Start at the beginning of the test and go all the way down. For any questions that are confusing, giving you trouble or that you know you need some time to work on, leave them blank and move on. Once you've gone through the test answering every single question that you know the answer to, you can go back and work through the tough ones. Make sure you keep an eye on the time and don't get so bogged down with answering one question that you lose the chance to work on the rest of them. If there is a particularly challenging question that you have spent a significant amount of time on and still haven't been able to answer, simply guess and move on. You do not want to risk running out of time and needing to guess on all of the remaining questions, so don't devote all of your time to one tough question. Set a time limit to work on the remaining questions that you are puzzling over, and then when you've reached your limit for those questions guess and move on. 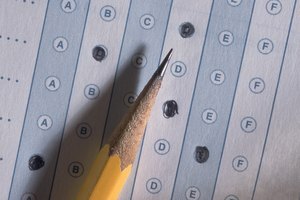 What Are the Best Test Taking Strategies for Essay Questions? It can be tough to know how to prepare for a test that is going to contain a lot of essay or short essay questions, particularly if language and writing don't come naturally to you. The best way to prepare for an essay question is to write an outline. Once you've read the directions, and you know what the essay is asking you to prove or discuss, come up with your outline. Begin by identifying your thesis. This is the point of your essay, and this is the idea that you are trying to prove. Try to come up with something that makes logical sense given the material you have studied or were presented with. Once you have arrived at your thesis, make a note of it on a scrap piece of paper or on a blank page in your test booklet. Beneath it, record three possible pieces of evidence that you know will support your thesis. Begin by writing an introduction no more than three sentences long that describes the reason that your thesis answers a question, and why it is a question in the first place. Then move on to stating your thesis. Once you have stated the thesis, do not waste time stating it again. Brevity is important in an essay test. Make sure you have stated your thesis in as clear and concise a way as possible before you move on to the evidence portion of your argument. In the subsequent three paragraphs, clearly and succinctly present the evidence that you think makes it obvious that your thesis is true. The evidence should support your claim, and if it is not obvious that your evidence supports your claim, you need to tell the reader why it does. There should be absolutely no question as to why you've chosen this evidence. The reasons should be abundantly clear. When it comes time for your conclusion at the very bottom of the essay, you can use this final paragraph to tie up any loose ends and to make clear exactly why your thesis is true, how you proved it, and what that proof means for the larger question. Even the most anxious of students need to take standardized tests, essay tests and multiple choice tests from time to time. Even if you enroll in a school that eschews testing in favor of papers, projects or other demonstrations of learning, you will still likely need to take tests at some point in your life. The important thing to keep in mind no matter what the test is that the consequences are not dire. If you fail the test, in all likelihood you will have the chance to take it again, or you will find yourself with the opportunity to make up the work that you got wrong and get the grade you need another way. Tests are not the end of the world. Doing your best and then letting it go is how you learn to move past setbacks both in your academic career and in life. Try taking deep breaths and reminding yourself that nothing life-altering is hanging on the outcome of this test. If you find yourself unable to take tests without having a panic attack or becoming overwhelmed with anxiety, it is a good idea to speak to your instructors. They may be able to help you calm down and reassess your worries around testing. Friedman, Ashley. "What Are Test Taking Tips?" Synonym, https://classroom.synonym.com/what-are-test-taking-tips-13714949.html. 27 September 2018.